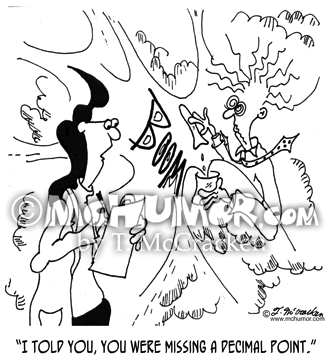 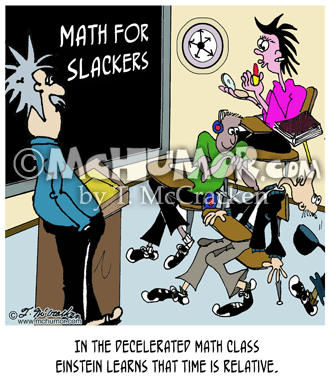 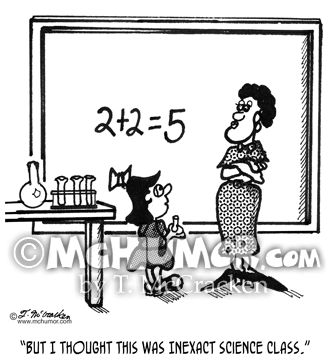 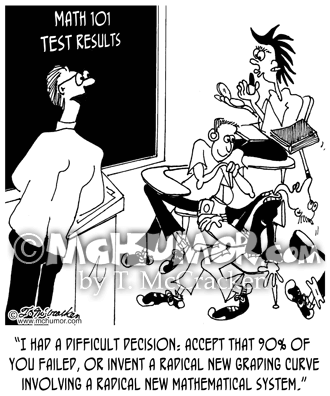 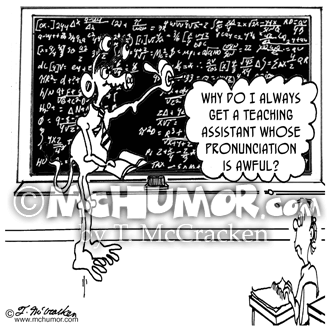 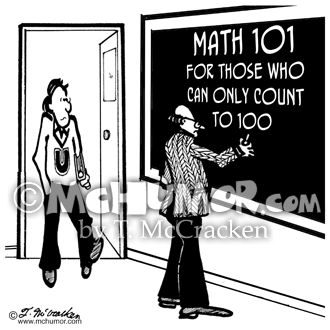 Math Cartoon 3204: A teacher writes on the blackboard, "Math 101, for those who can only count to 100." 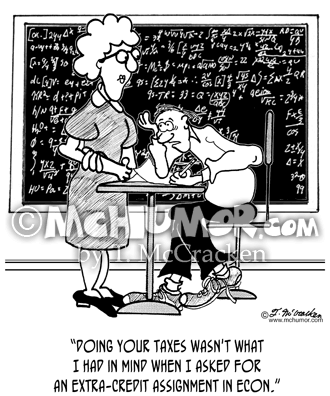 Math Cartoon 2686: Student saying to a teacher, "Doing your taxes wasn't what I had in mind when I asked for an extra-credit assignment in econ." 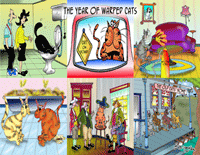 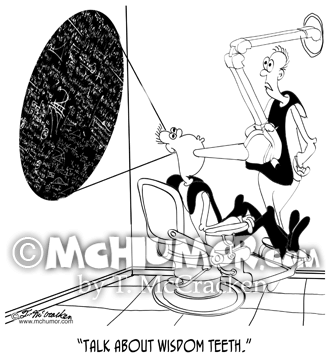 Dentist Cartoon 8667: A dentist taking dental X-Rays where equations shine on a wall says, "Talk about wisdom teeth."